Filtration – They contribute to water quality by filtering out nutrients, removing phosphorus that contributes to algal growth in lakes and watercourses. Flood and Drought Mitigation – They store water during spring snow melt and high rainfall, and then slowly release it into the watershed. Groundwater Recharge – They protect drinking water supplies by providing water to lakes and rivers and to aquifers, which sustain ground water levels for wells. Carbon Storage – They retain carbon in their many layers of aquatic vegetation from below the bottom to above the surface. Keddy Nature Sanctuary sits within the Mississippi Lake subwatershed. Better yet, by performing all of the above functions they maintain our lakes and rivers for our pleasure: swimming, angling, boating, bird watching, and just hanging out on the dock. 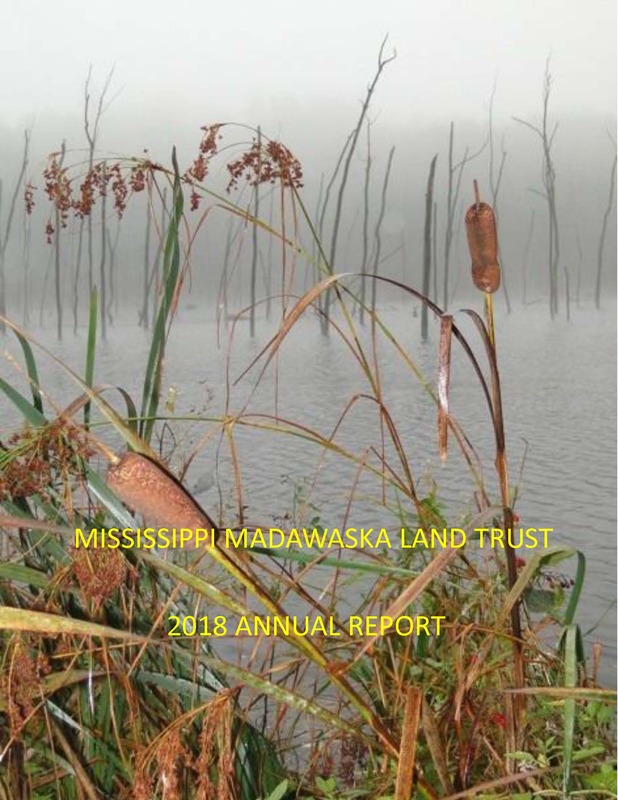 MMLT protects and stewards ecologically significant properties in the Mississippi River and lower Madawaska River watersheds – a 5,600 km2 region. All of our properties protect wetlands, but let’s use Keddy Nature Sanctuary (KNS) as an example of the value that a single property can provide to the health of a watershed. KNS is 2.14 km2 (214 hectares or 530 acres) in size and lies in the Mississippi Lake watershed, occupying 0.72% of the watershed’s area. KNS has 57 hectares of wetland that constitute 35% of the Provincially Significant Scotch Corners Wetland Complex. It also has 156 hectares of forest. KNS protects the headwaters of three streams that enter Mississippi Lake along the west shore: Ruttle Creek, Code/Cranberry Creek, and McCreary’s Creek. Ruttle Creek supplies water to the Mississippi Lake National Wildlife Area. It enters the lake within the Innisville Wetland Complex. Based on recent studies [1,2], KNS provides the equivalent of $6 million annually in ecosystem benefits. MMLT holds a Conservation Easement on the property owned by the Keddys that guarantees these benefits for 999 years – an astounding value! the health of ecosystems within the Mississippi River watershed upstream of the lake, which is 10 times bigger at 2,577 km2. The Mississippi Lake subwatershed lies within the Mississippi River Watershed. development pressure was expected to increase as nearby municipalities grow. A 2012-2013 survey  by the MLA of residents and the community identified Clean Water as their top priority and concern. What will the state of the lake be in 10, 25, 100, or 500 years? How do we ensure that watershed quality and thus lake water quality are protected in the long term? Forest cover varies from 55% to almost 80% of the watersheds that provide water to Mississippi Lake , but most of these forests have been and continue to be logged. We have also lost wetlands in the area. In Lanark County alone between 45% and 65% of the wetlands that existed in 1800 are gone . Existing wetland policies are inadequate for protecting the green infrastructure functions provided by wetlands and forests. 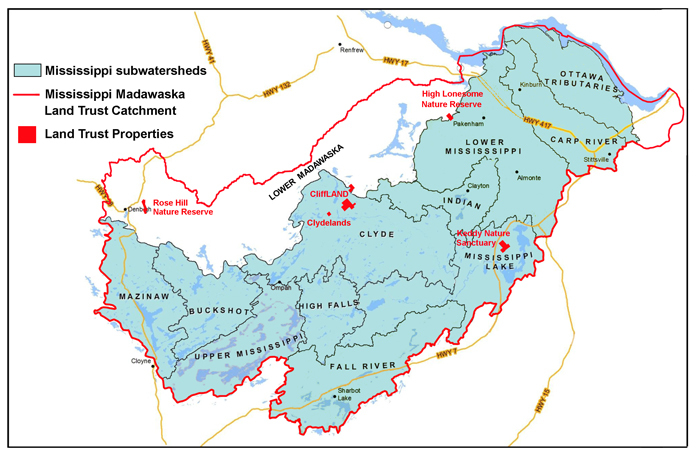 Within Mississippi Lake’s subwatershed (296 km2), 37.55 km2 of Provincially Significant Wetlands (PSWs) are now regulated, which is only 12.7% of the subwatershed’s area. Regulation protects alteration of the PSW itself and controls alteration within a 120m buffer area. Adjoining land beyond the buffer area and upstream land that both contribute to the watershed’s function are not protected. Even a single property like Keddy Nature Sanctuary has a positive impact on its watershed. Imagine if we could protect more land with wetlands, watercourses, and forests to keep filtering, storing, and releasing water for our lakes, rivers, and wells long in the future? Do you own land that you’d like to protect— tributary headwaters, wetlands, forest, or extensive areas of natural shoreline? MMLT can protect lands that are critical for maintaining and enhancing the health of watersheds and the lake that you love. There are several options for protecting your land, which are described in our Land Securement Brochure. Interested in helping MMLT in other ways? You can contribute by a donation of money, securities, or a bequest. See our Donation Options for details. A spotted salamander on Keddy Nature Sanctuary. 1 Nature Conservancy of Canada. 2014. The natural capital value of forest habitat conservation. 2 Troy, A. and K. Bagstad. 2009. Estimation of Ecosystem Service Values for Southern Ontario. Prepared by Spatial Informatics Group, LLC for Ontario Ministry of Natural Resources. 3 Wetlands and adjacent forest also maintain biodiversity and provide critical habitat for wetland-dependent species. Wetlands provide habitat for wildlife such as mammals, birds, amphibians, and pollinators that they need to survive. Did you know that the number of reptile, amphibian and mammal species in a wetland is affected by the amount of forest cover within 2km of the wetland? A study of 17 amphibians showed that the number of species was reduced by human land uses occurring 2-3km from wetlands and up to 4km for some species. 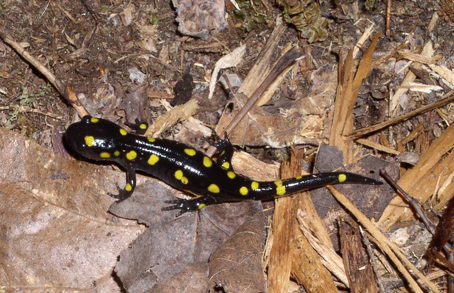 For spotted salamanders, which breed in shallow wetlands in forests, abundance is related to forest cover up to 1km from their breeding wetland. 4 MLA. 2014 Mississippi Lake Today. 6 MVCA. 2013. Mississippi Valley Watershed Report Card 2013. 7 Ducks Unlimited. 2010. Southern Ontario Wetland Conversion Analysis.